Bishops frontman Tucker Riggleman is a busy guy. 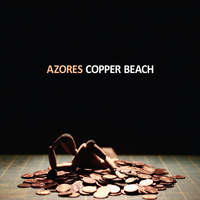 Having released his own album recently, he's loaned his talents to Azores' debut full-length album, Copper Beach. If Dream Easy was a tsunami of id, Copper Beach is a study in anxiety. Azores' muscular post-punk brings and lead singer Vince Paixaio's spirited vocals bring to mind Bob Mould in his less experimental days. Paixaio's lyrics, with references to subjects as disparate as mystical allusions to third eyes, don't rhyme and feel crammed into the band's straightforward rock melodies, creating an impalpable tension in the music. This isn't a critique at all; it's critical to the band's overall ability to create a sense of kinetic energy -- while you're listening to this music, you might not want to dance but standing (or sitting) still is simply uncomfortable. This feeling contributes to the overall theme of this record: even if nothing feels quite right, you just have to do something.